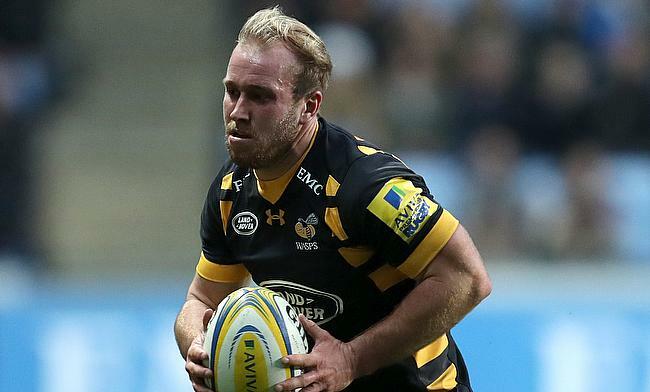 Wasps have confirmed that scrum-half Dan Robson has penned a new long-term deal with the English Premiership club. The 26-year-old made his professional rugby debut in 2010 with Gloucester Rugby and switched to Wasps in 2015 and since then has made 81 appearances for the Ricoh Arena outfit scoring 27 tries in it with 10 out of it coming in the ongoing season where Wasps are positioned third in the Aviva Premiership. Overall, he has featured in 123 English Premiership games for both Gloucester and Wasps combined. Robson was called up to England Test squad in 2016 for the Autumn internationals but is yet to make a debut for the red rose side. Wasps director of rugby Dai Young insisted that Robson has all the credentials to play Test rugby. "He's worked hard at his game over the last three years and is now one of the best scrum-halves in Europe. "I am obviously biased. But if Dan continues to deliver the same level of performance for us, it can surely only be a matter of time before his England chance comes."